By 1928, when Aldous Huxley’s work first appeared in the Tauchnitz series, he was already a well-established writer. Tauchnitz was still the dominant English language publisher in Continental Europe, but it had struggled during the First World War and the difficulties that followed in Germany. It was no longer quite at the cutting edge of English literature, where it had been for most of its long existence, and British publishers were becoming reluctant to allow continental reprints as soon after UK publication as they previously had. Still, to join the near-5000-volume-strong Tauchnitz series was recognition that you had reached a certain level in your profession. The honour was as much to Huxley as it was to Tauchnitz. ‘Two or three graces’, a collection of Huxley’s short stories appeared in early 1928 (or possibly late 1927) as volume 4810, and the satirical novel ‘Those barren leaves’ followed shortly after as volume 4816. Although both volumes are dated 1928 on the title page, the first printing of volume 4810 is dated December 1927 at the top of the back wrapper, while volume 4816 is dated January 1928. There are multiple reprints of both books, identifiable by later dates on the back wrapper. Sales must have gone well, and having identified Huxley as a promising young writer, Tauchnitz were keen to extend the relationship. The following year they published his new novel ‘Point Counter Point’, a longer work that stretched over two volumes, numbered 4872 and 4873, and dated March 1929 in the first printing. That was followed up by ‘Brief candles’, another collection of short stories, (volume 4958, dated October 1930) and by ‘Music at Night and other essays’ (volume 5017, dated October 1931). Both works appeared in Tauchnitz very shortly after first UK publication. Tauchnitz though, by this time, was in turmoil. Hans Christian Wegner had been appointed to manage the firm in late 1929, after the death of Curt Otto, and was keen to modernise the series, encouraging writers such as Huxley, D.H. Lawrence and James Joyce. But his ideas were too radical for the Tauchnitz board and he left in 1931, becoming one of the key founders of the rival firm Albatross. At last, Tauchnitz had a serious competitor. 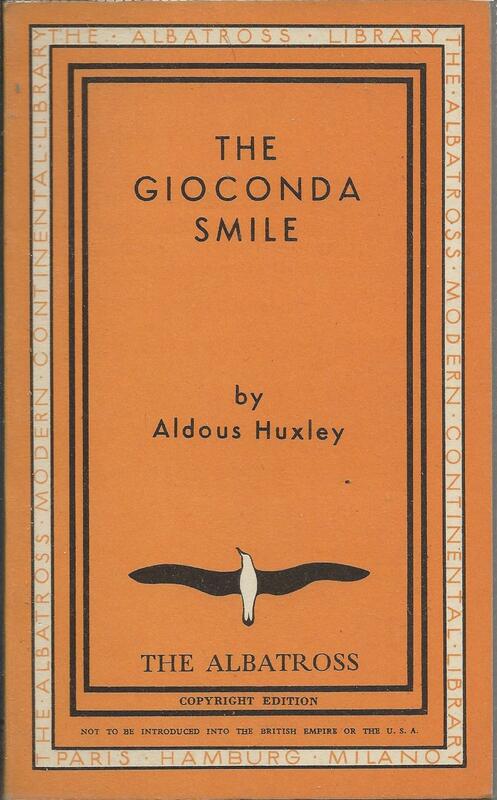 ‘The Gioconda Smile and other stories’ appeared as volume 2 of the Albatross series in 1932. It brought together most of Huxley’s short stories from the two collections published in the UK as ‘Mortal Coils’ (1922) and ‘Little Mexican’ (1924). 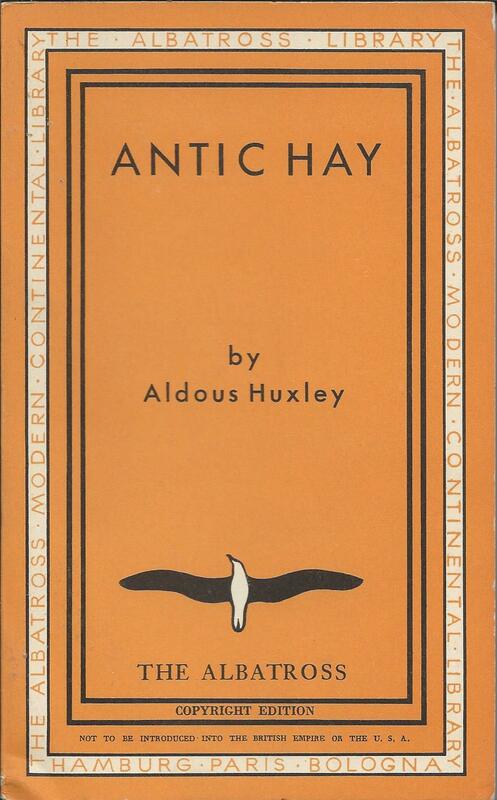 ‘Antic Hay’, another early work from 1923, followed as volume 24, with ‘Crome Yellow’, his first novel from 1921, published as volume 64 in 1933. Inbetween though came the real prize. Having won Huxley over and published his early work in far more attractive editions than the drab Tauchnitz volumes, Albatross was rewarded with his latest new work, ‘Brave new World’ published early in 1933 as volume 47 of the series. A further volume of short stories appeared under the title ‘Uncle Spencer and other stories’ later in 1933, as volume 87. It combined the two remaining stories from ‘Little Mexican’, with five stories that had appeared in Huxley’s first collection ‘Limbo’ in 1921. 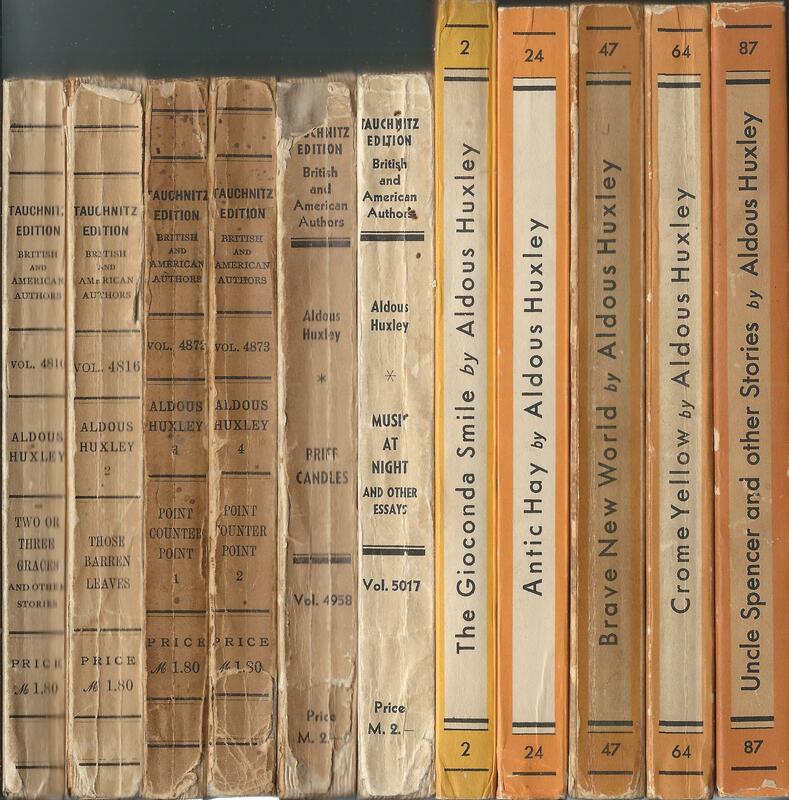 So in the first 100 volumes and the first two years of Albatross, five Huxley volumes had been published. The tally at that point stood at six Huxley volumes in Tauchnitz and five in Albatross. Not bad for a writer who was still in his thirties.